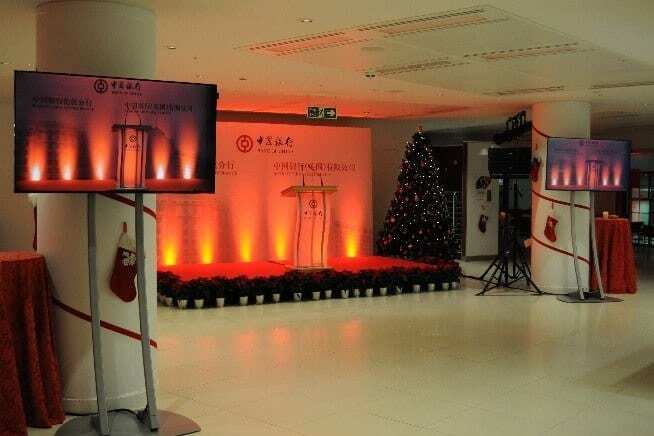 We have now successfully managed three events for Bank of China, with two in December 2014 and one in January 2015. Last year, we did all the AV including, LED screens, stage set up, carpet, lighting (both ambient room lighting and stage lighting), PA system with multiple microphones and Line Array speakers. This large event was for the Bank’s Christmas party reception. Our team have been building a relationship with the Bank of China and their special events company Vision Creation and we are proud to say that we have a great rapport with our clients because of them! 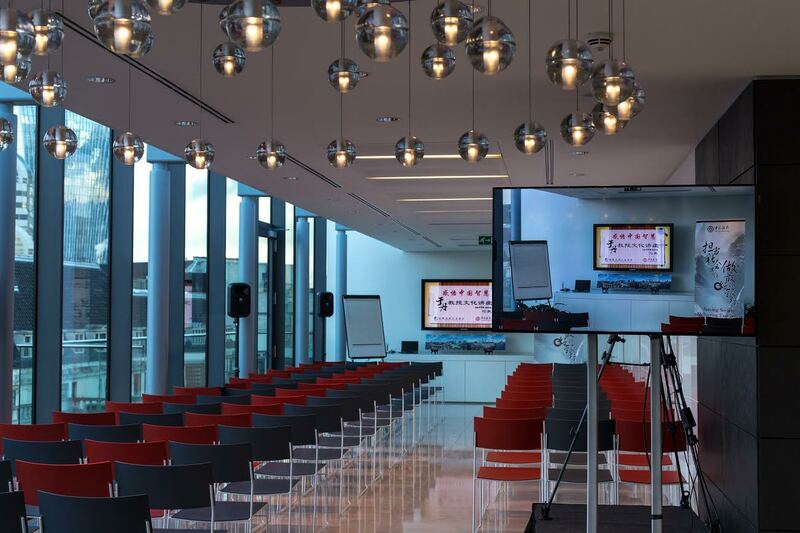 Our technicians have been to each event and helped conceptualise with the creative AV implementation process, which in turn has proved to be a through success. 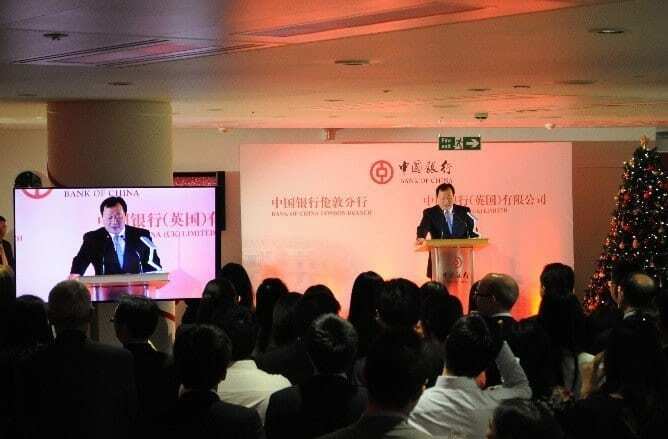 Our most recent event has been a seminar for Bank of China with a VIP speaker. Our technicians set up a lectern, 2 x 2 stage, 55” LED screen, camera and tripod to allow recording and live streaming for the audience members at the back to see clearly, a 4 speaker PA system and 2 hand-held microphones.